The faithful ally we all wish for who goes to the extent of gambling his life for the noble cause, who would carry a hill for your kin, such was the Character of Anjanai Putra Hanuman. He was well known for being an aide of Rama, and a Celibate. But was he really a celibate? According to Parasara Maharishi, Hanuman had worshipped Surya Bhagwan (the Sun god) as his Guru and studied the Vedas and mastered the Nine Vyakarnas. Being an Aajanma Brahmachari, Lord Hanuman was not eligible to study the Nava Vyakarnas (nine grammars) for which the status of being a Gruhasth was essential. In order to facilitate the completion of his education, the Trimurthis approached Surya Bhagwan and created a beautiful Kanya, Suvarchala Devi, an Aajanma Brahmacharini, from the Sun’s Kiranas (rays) and arranged a marriage with Hanumanji to make him a Gruhasth without Brahmacharya being affected. Whereby he learned and became a genius in the Nine Vyakarnas. But after marriage, he spent all the life serving Lord Rama. Meaning: Salutations to Lord Hanuman having four arms, accompanied by his consort Suvarchala Devi, seated on a camel and exhibiting extraordinary valour. The text further describes Survachala as the daughter of Sun God from whom Aanjaneya learned the Vedas. Surya said: “O Hanuman, you are the incarnation of Lord Siva who bore the poisonous HALAHALA to save the universe when the ocean was churned. You are also a son of Agni, the fire god. Viswakarma separated a part of my luminescence and the world is unable to bear it. You are the only one who can bear it. So, I want to offer you my daughter Suvarchala formed from my ‘VARCHAS’ (luminescence), in marriage. Marry my daughter. Since the husband is the one who is to bear, you also bear my ‘Suvarchas’ by marrying Suvarchala. Your marrying her shall be my Guru Dakshina”. Hanuman obeyed his preceptor’s advice. Surya presented Suvarchala to Hanuman. 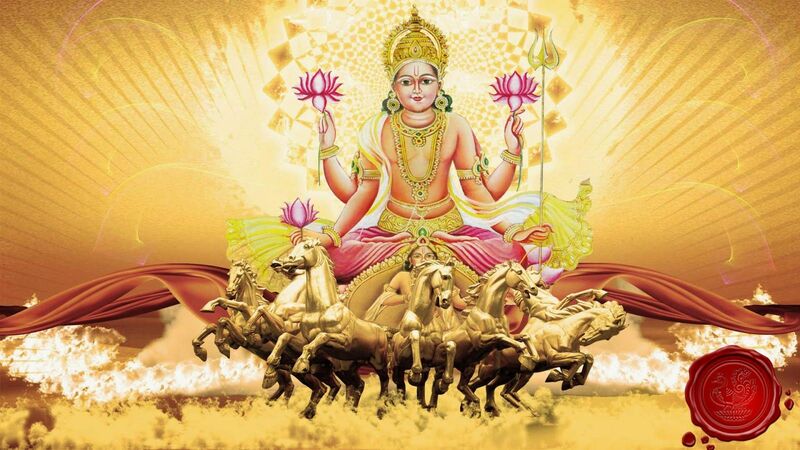 It is stated in Parasara Samhita, that Surya offered his daughter Suvarchala in marriage on Jyestha Suddha Dashami. It was a Wednesday under the star Uttara. Those who respect tradition, even to this day, observe “HANUMAN KALYANAM” (Hanuman’s Marriage) on that day. Another legend says that a demigod named Matsyaraja (also known as Makardhwaja or Matsyagarbha) claimed to be his son. Matsyaraja’s birth is explained as follows: a fish (Matsya) was impregnated by the drops of Hanuman’s sweat, while he was bathing in the ocean. He came to know about this when he has to fight with his son to win over Lavana, who was the master of Makardhwaja. Lord Hanuman defeats his son, kills Lavana and reinstates his son as the king of the nether world.